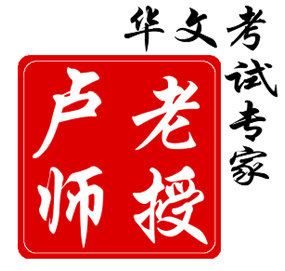 PSLE Chinese Strategic Course - Intensive Preparations for PSLE Chinese! Enrol your child this June Holiday to sharpen his HCL skills! 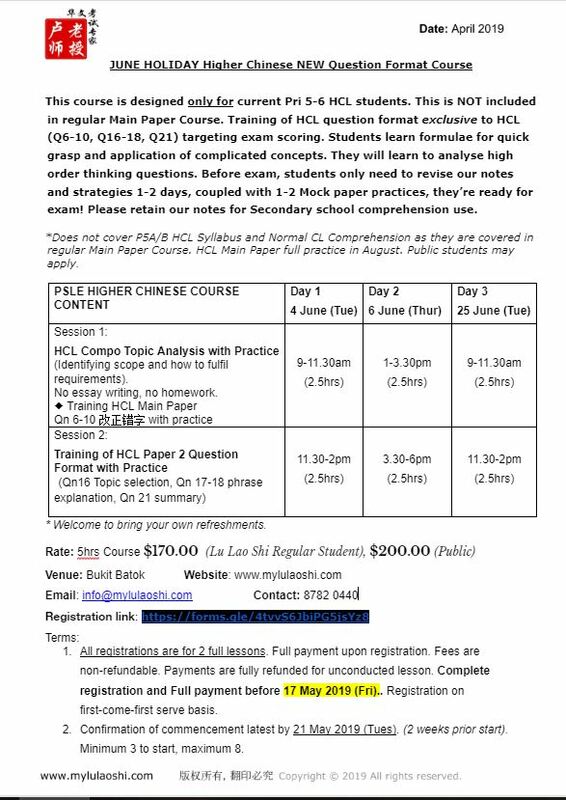 Join us this June holiday for a course specially designed for Pri 5 & 6 HCL (Higher Chinese Language) students to maximise exam scoring in Main Paper. This course is NOT included in our regular Main Paper Course & is conducted yearly. Public students may apply. This 5-hour course is split into 2 different sessions. You are to choose one date/time each for Session 1 and 2. All registrations are for 2 full lessons. Full payment upon registration. Fees are non-refundable. 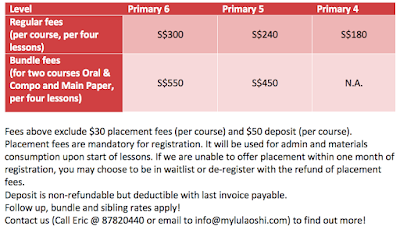 Payments are fully refunded for unconducted lesson. Complete registration and Full payment before 17 May 2019 (Fri). Registration on first-come-first serve basis. Confirmation of commencement latest by 21 May 2019 (Tue) (2 weeks prior to start date). Minimum 3 to start, maximum 8. June Holiday Courses will be released in a week! Stay tuned! We are re-opening P4 courses for 2019!